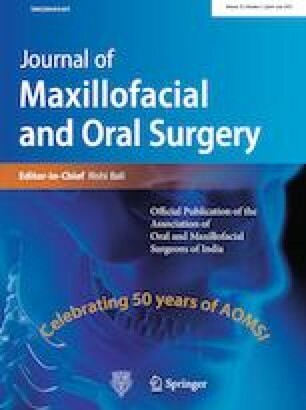 Total joint reconstruction using autologous or alloplastic materials is one of the treatment options for the reconstruction of the affected joint in TMJ ankylosis. The clinical results of alloplastic TM joint replacement (Biomet Microfixation system) that was carried out for the treatment and reconstruction of TMJ ankylosis have been summarised. A retrospective analysis of eight cases clinically and radiographically diagnosed as TMJ ankylosis with minimal facial asymmetry presenting beyond the growth period and willing for at least 12 months of follow-up who have been taken up for gap arthroplasty and reconstruction using Biomet Microfixation TMJ replacement system was carried out. Follow-up of these patients was carried out at regular intervals and assessed on the following criteria: maximal interincisal mouth opening, TM joint pain on the affected side (on VAS), lateral mandibular excursions to the unaffected side deviation on mouth opening, occlusal discrepancy and neuromotor deficit of peripheral branches of facial nerve. The mean maximal interincisal mouth opening pre-surgery and 1 year post-surgery was 2 and 31.8 mm, respectively. The mean lateral excursive movement to the unaffected side was found to be 5.5 mm with mean deviation on mouth opening to be 4.6 mm. No pain, occlusal discrepancy or neurological deficit existed at the end of 1 year. Biomet Microfixation system is a viable treatment option for reconstruction of TMJ in cases of ankylosis with no major complications.